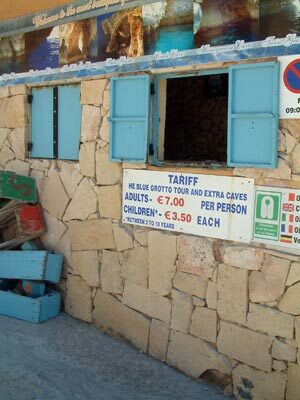 The booking office for boat trips to the Blue Grotto is found down the street towards the sea away from the car park. There is a pleasant walk around this area with good sea views and cafes to sit and wait during busy periods. The photograph on the right was taken in June 2009 so please be aware that prices may have changed since then. 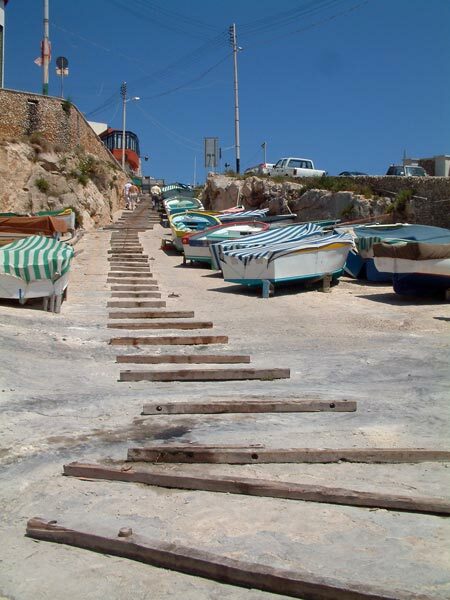 Steps lead down to the booking office through the boat yard. There is an alternative route without steps for people in wheelchairs or with pushchairs.